We can't do this on our own and we'd like to thank some of our partners. Each of our projects uses FujiFilm Quicksnap cameras. 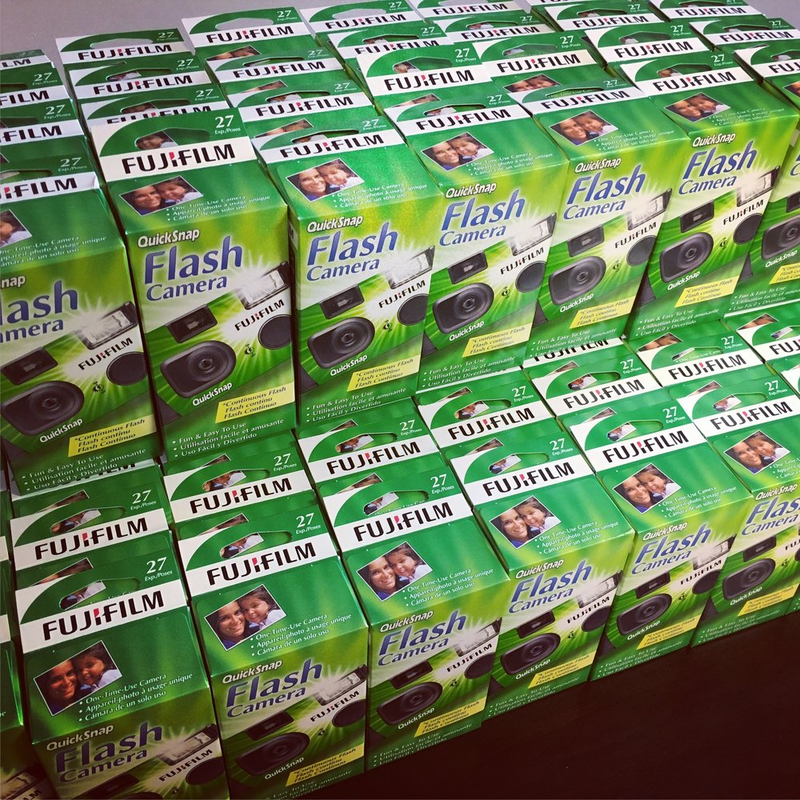 We're so thankful for Fujifilm for donating cameras for one of our upcoming projects. Jeremy has provided the vinyl lettering for our South Carolina gallery shows. He's got a ton of talent in a lot of different ways. He paints, he designs, he pinstripes and his family even proudly displays one of the original photos from our project in their home. Spartan Photo Center in Spartanburg, SC has developed all our Fujifilm Quicksnap cameras, printed all our project photographs and photographer portraits and supplied gallery-quality frames for the the finalists. Their care with our images is second-to-none and their professional team has catered to all our needs.